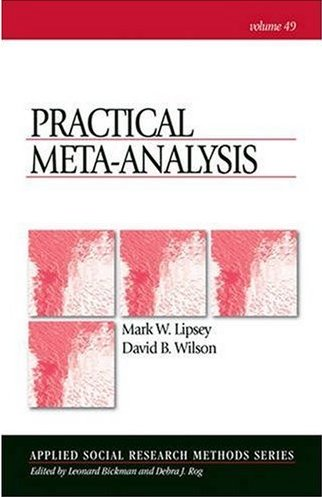 the material on this webpage is based on a book by Mark Lipsey and myself titled, Practical Meta-analysis, published by Sage in 2001. if you use these materials, please cite the book. if you use the macros, please cite the book and the macros. the macros should be cited as "Wilson, D. B. (date of version). Meta-analysis macros for SAS, SPSS, and Stata. Retrieved, month, day, year, from http://mason.gmu.edu/~dwilsonb/ma.html"